PARIS --- Australia is entirely dependent on the United States for the sustainment of its Lockheed Martin F-35 fighters, still does not know how much it is paying for the aircraft and its support, but is obliged to pay sustainment bills whether sustainment is delivered or not. While the 46-page audit is limited to Australia, its conclusions also apply to other non-US operators of the F-35, as they are also dependent on the same Global Support Solution and face the same difficulties in supporting their aircraft. To date, Israel, Italy, Japan, Norway, the United Kingdom already operate F-35 aircraft on their own territory. ANAO does not report any earth-shaking revelations, it provides interesting insights into how the Global Support Solution (GSS) developed by the F-35 Joint Program Office remains ineffective and incomplete, even as the number of F-35s delivered approaches 350. Yet, while the JPO can withhold payments from contractors if they do not deliver the contracted services, “Australia does not have the option of withholding payment from the F-35 JPO.” In other words, in the F-35 program’s lop-sided rules, the customer must pay even if support services are deficient. We have selected below the most significant points made by ANAO regarding the support of the Royal Australian Air Force’s F-35 aircraft, the first two of which are due to arrive in Australia on Dec. 10 – next Monday. They illustrate how F-35 customers remain in thrall to the United States for all aspects of F-35 sustainment, even as the program’s Global Support Solution remains incomplete, cannot fix a long-standing spare parts shortage, and has seen no progress in the last two years. 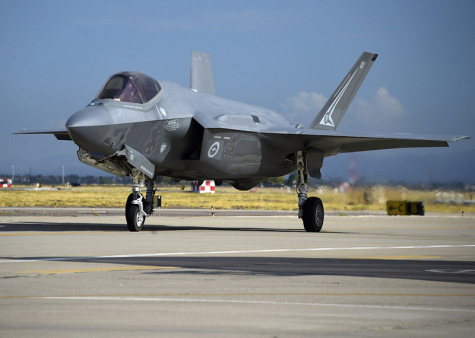 -- Defence informed the ANAO in October 2018 that where contracted performance requirements are not met, the F-35 JPO has the option of withholding payment from the contractor. Defence further advised that Australia does not have the option of withholding payment from the F-35 JPO. -- Consequently, Defence’s planning for the implementation of JSF sustainment is dependent on the planning and implementation of the GSS by the F-35 JPO, and the effectiveness of Defence’s provision of sustainment is dependent on the effectiveness of the GSS as a whole. -- An internal review, completed in mid-2018, of Defence’s management controls for transitioning the JSF aircraft into Australian service, identified a lack of confidence within Defence about the global support arrangements in the short term for JSF aircraft based outside of the United States of America. -- Further, Defence noted that the immaturity of the GSS is a JSF Program-wide risk that is being managed by the F-35 JPO. In October 2017, the United States GAO reported on five key sustainment challenges for the United States Department of Defense’s JSF aircraft. Defence’s concerns about the immaturity of the GSS are consistent with the findings of this 2017 United States GAO report. -- To sustain its JSF aircraft, Defence is dependent on a spare parts supply system that is not fully developed, and is currently experiencing shortages due to competition for parts as the global JSF aircraft fleet increases. Defence expects that these shortages will continue beyond the transition of JSF Aircraft into Australian service. 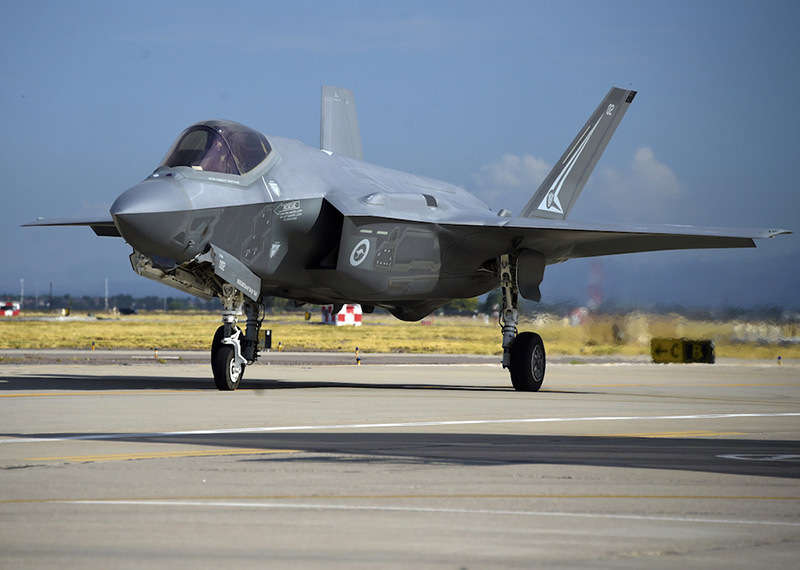 Defence has recognised that supply shortages are a risk to the JSF aircraft’s introduction into Australian service, and is largely dependent on the solutions the F-35 JPO is putting in place to increase the availability of spare parts for the global JSF aircraft fleet. -- Defence has some concerns about the security of Australian data within ALIS and has been working with the F-35 JPO to develop a solution. In August 2018, Defence informed the ANAO that an interim solution is now in place to support the ferry of the first two JSF aircraft to Australia in December 2018. In October 2018, Defence further advised the ANAO that ‘this interim solution will remain in place until an acceptable solution can be introduced, prior to Initial Operational Capability’. -- The developmental nature of the international JSF Program means that Defence does not yet know the final purchase price of future Australian JSF aircraft, or their whole-of-life operating and support costs. -- The progress of the Australian JSF Program through second pass approval on the basis of rough-order-of-magnitude sustainment costs is contrary to Defence’s guidance for the planning and approval of major capital equipment projects , the findings and recommendations of numerous external reviews60, and audits undertaken in Defence over the past two decades. The history of Defence acquisitions in Australia demonstrates that inadequate sustainment cost estimates at project approval have led to cost implications once the platform is in service. In 2016, the United States GAO described sustainment as the most significant cost driver for the program. In 2016, Defence informed the Australian Government that estimated support costs for the JSF aircraft ‘remain high and the economies of scale were not yet evident’, and in November 2018, Defence informed the ANAO that this advice remains current. Click here for the full report (46 PDF pages) on the ANAO website.